I'm getting bored with my breakfast lately. Oatmeal during the summer is kind of hard for me. Smoothies? Yes. All the time? Almost. But sometimes it’s also nice to dig your teeth into something with some consistency to it. Munching is an activity deserving much more credit than it receives. Not sure? Go on a juice cleanse for three days and then we can discuss the topic thoroughly. As I was wrapping my head around what to make, my beloved aunt G called me over the phone to tell me about this amazing apricot cake she just baked. No butter, no oil, just yogurt and a lot of ripe apricots. Sounded almost too good to be true. I had just bought 2 full pounds of delicious apricots at the Farmers’ market, so I just knew I had to bake this. I always like to play around with recipes and see what I can come up with, and this was a lucky loaf. If there’s one thing I really despise, it’s dry baked goods. Cakes and muffins can be the worst offenders in the dry baked goods category, so I was especially careful to make sure this loaf cake stayed moist. 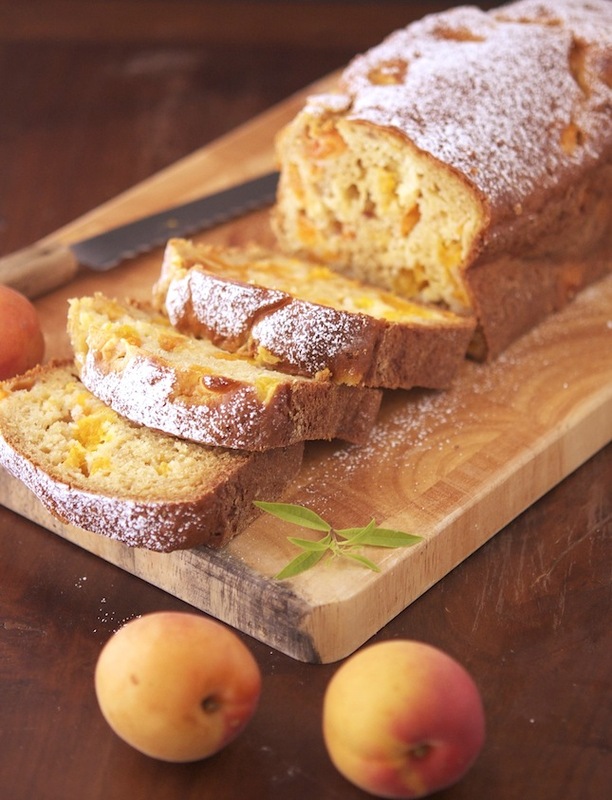 But there’s really nothing to worry about this apricot loaf cake, as the huge amount of apricots used guarantees that this is one soft and moist cake. When the apricots baked, not only did they make the house smell amazing (as if I was making apricot jam), but they released a good amount of moisture, also helping to create a really moist, luscious loaf. The fact that there is no butter or oil involved helps keeping the calorie count very low, very VERY low. If you’re looking for something light, soft, moist and just delicious I urge you to give this cake jam-packed with apricots a go. You won’t be disappointed. Trust. 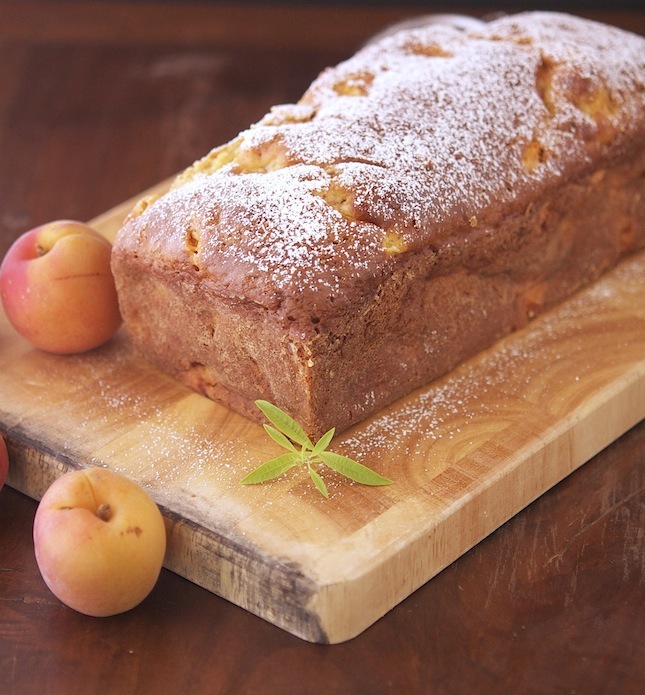 Skinny Apricot Loaf Cake Print this recipe! Few Notes. The cake tends to raise quite dramatically in the oven so use at least a 10x5x3-inch loaf pan (maybe even bigger if you have it). If you settle for a smaller one you might have to face a Vesuvius-like eruption of cake in the oven. You also want to make sure to use ripe apricots, melts-in-your mouth kind with a strong sugary taste. Preheat oven to 350°F (180°C), place a rack in the middle. Butter and flour a 10x5x3-inch loaf pan. In a medium bowl beat sugar and eggs, gently mix in the yogurt. Stir in the dry ingredients and fold in apricot chunks. Scrape the side of the bowl, making sure that all the ingredients are well-blended but do not overmix. Pour the batter into the prepared loaf pan. Bake in the oven for 50 minutes, or until a cake tester inserted into the center of the loaf comes out clean. Cool in pan on a rack for about 5 minutes, at which point you can cool it out of the pan on a wire rack. I sliced up the loaf and got 12 big slices. One slice yields 140 calories, less than 1 gram of fat, 32 grams of carbs and 5.3 grams of protein. Looks incredible, can't wait to try this! This seems so yummy (and healthy!) I don't get apricots where I am. How about if I used the semi-dried ones? I'll have to add something to compensate the lack of moisture in the semi dried fruit. Any suggestions? I know this is crazy late... but you can usually get tinned apricot halves. I get them over here in the UK as fresh apricots are hard to come by. I made this recipe with them and it worked great! I really dig the low calorie count, kudos!!! Oh gosh this looks amazing. I hope I can find some Apricots where I'm at! Also, do you know how much fiber is in this so I could see how many WW points there are? 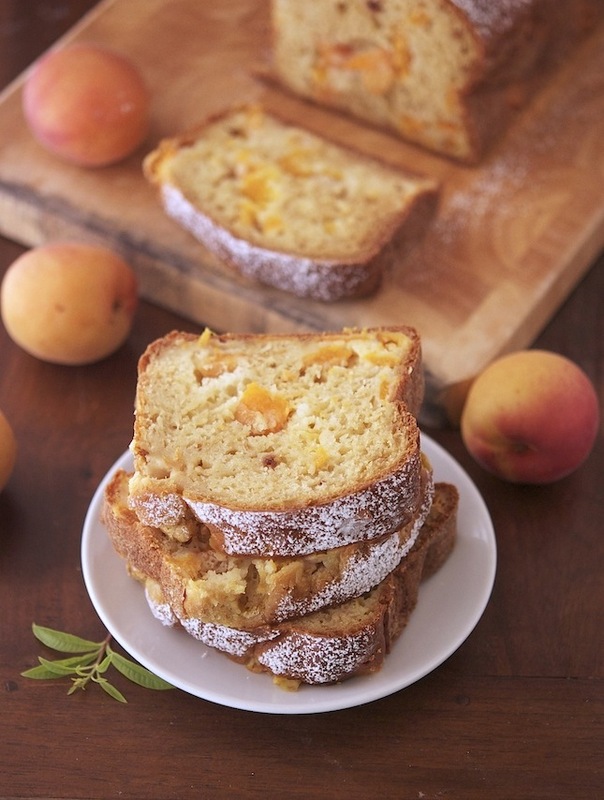 There are about 40 grams of fiber in the loaf coming from the whole wheat flour and the apricots. I'm not familiar with WW points count but I hope this helps! Sorry to post on an old article but I just discovered your blog and I'm reading EVERYTHING!! The carb count for one slice of this seems really high, can you think of any ways to reduce the carb count and keep a similar taste / consistency? Also sorry if this posts twice, Google didn't let me sign in the first time. Thanks! Also sorry, when you say total carbs, do you mean carbs+fibre? Perhaps that why it seems so high I know in America you guys tend to do that? Whereas in the UK they are listed separately. Thanks again! So the vanilla extract and ginger come into play... Where, exactly? How can you cook a loaf without butter or oil? I followed ur recipe and it dint come to the expectation. I'm getting ready to make this. I just wanted to thank you for the conversations!! You saved me the time of doing it myself! Is There Such A Thing As Too Many Antioxidants?